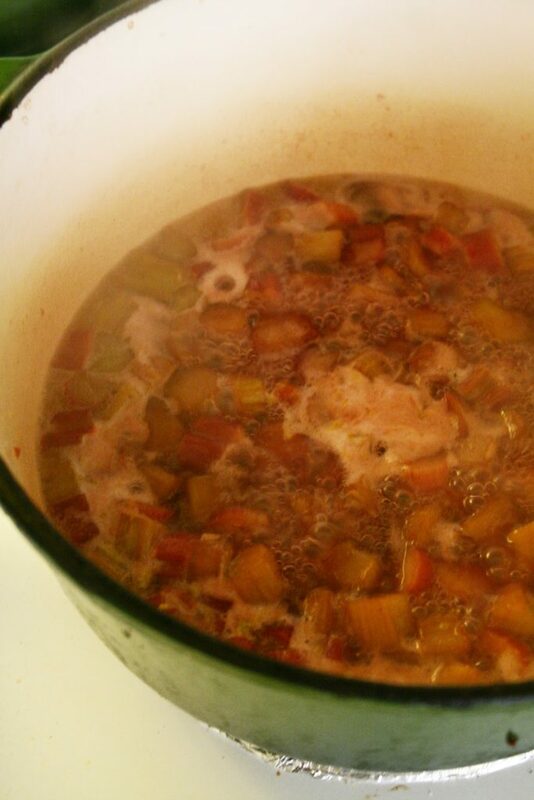 2 Cups of fresh or frozen rhubarb, diced. Melt the butter for the filling in a heavy saucepan. Once it begins to bubble add 1 tbsp of heavy cream. Stir. 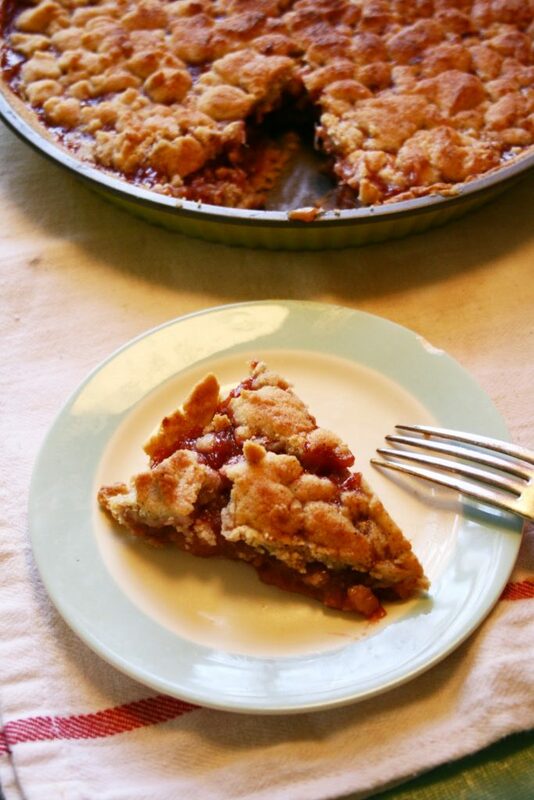 Immediately add rhubarb and can of cranberry sauce, zest and sugar. 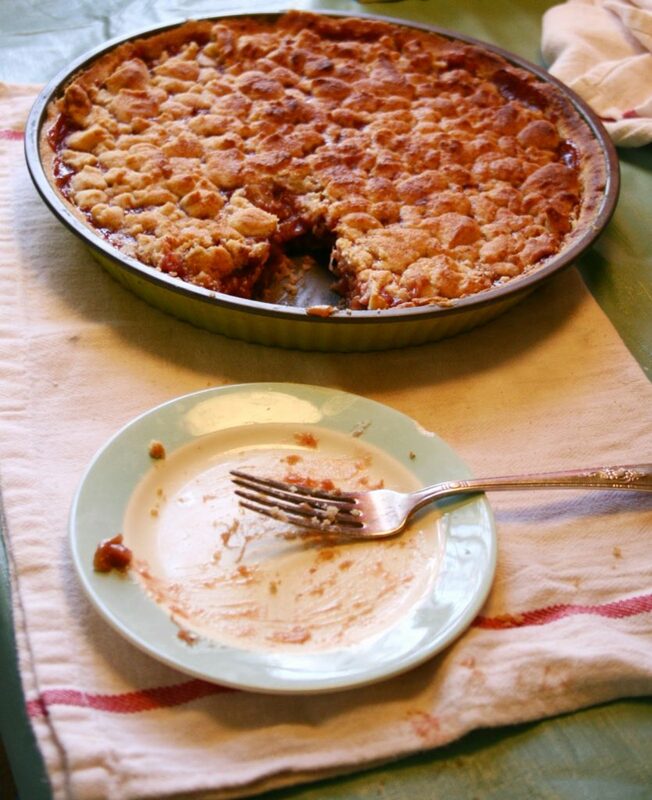 Break up cranberry sauce with spoon. 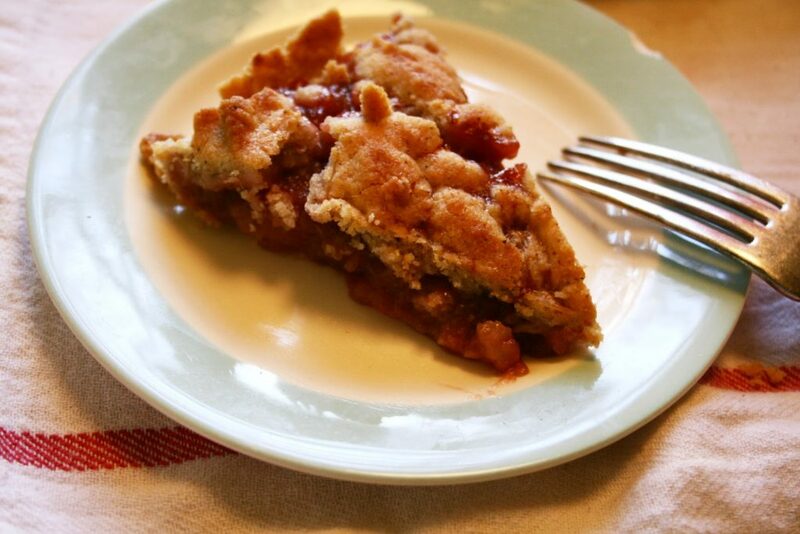 Use a potato masher to break down the rhubarb more. In a food processor (with at least a 9-cup capacity), combine the nuts with the flour. Mix until the nuts have become part of the flour mixture. Add the butter, sugar, vanilla, almond extract and 1 tsp of water. 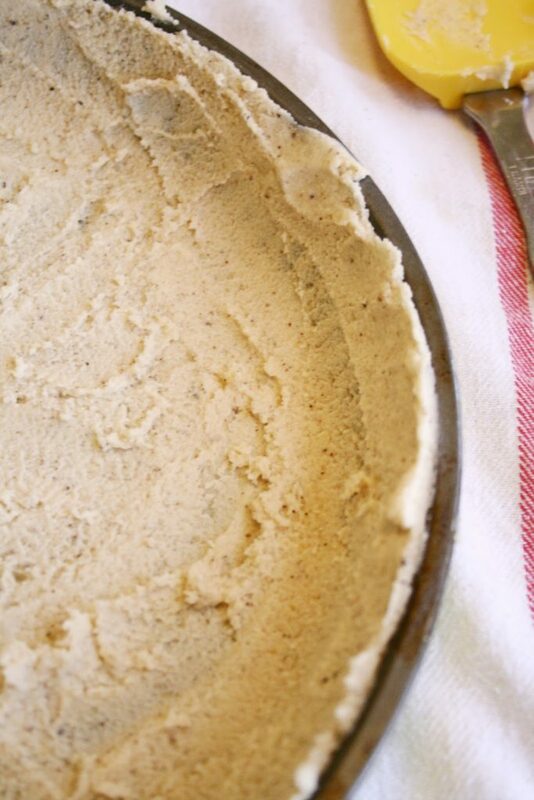 Mix until creamy, and the dough begins to pull from the sides and come together. If the dough has not begun to pull away and more water, 1 tsp at a time until it does. The dough will not be dry enough to roll out, but you do not want it runny either. 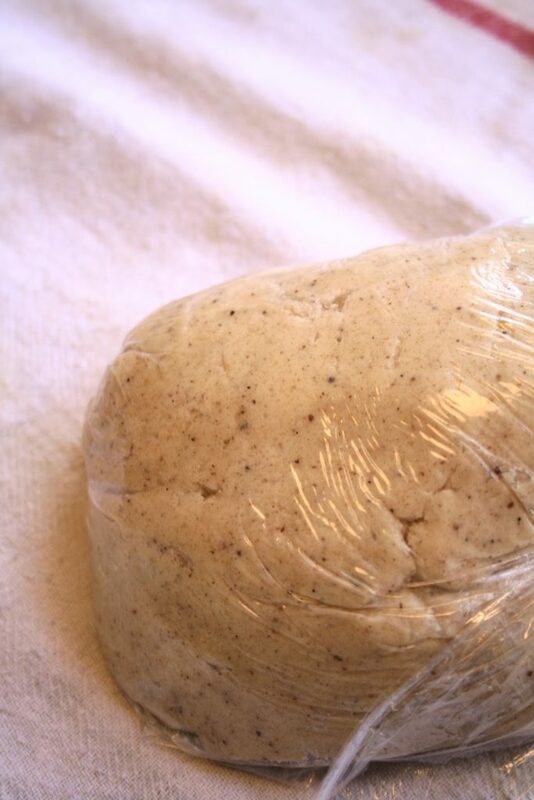 Turn the dough out onto a piece of plastic and divide into thirds. 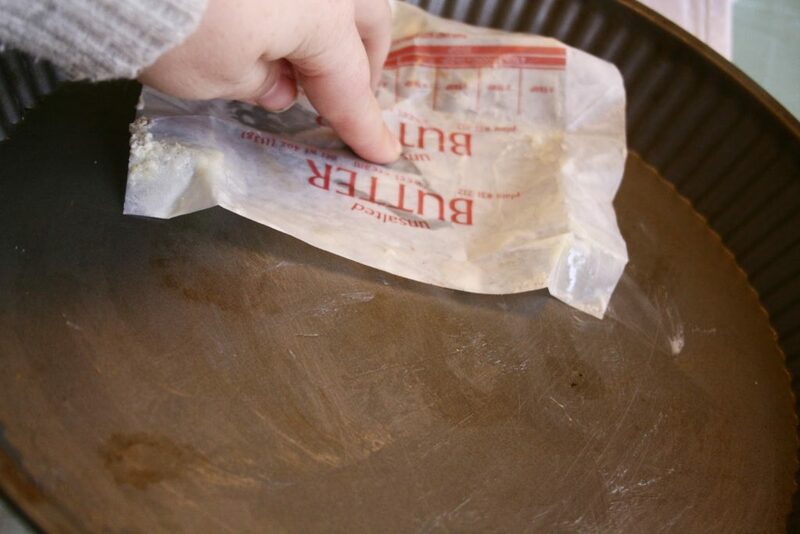 Lightly coat a round tart or pie pan with a with cooking spray or butter. 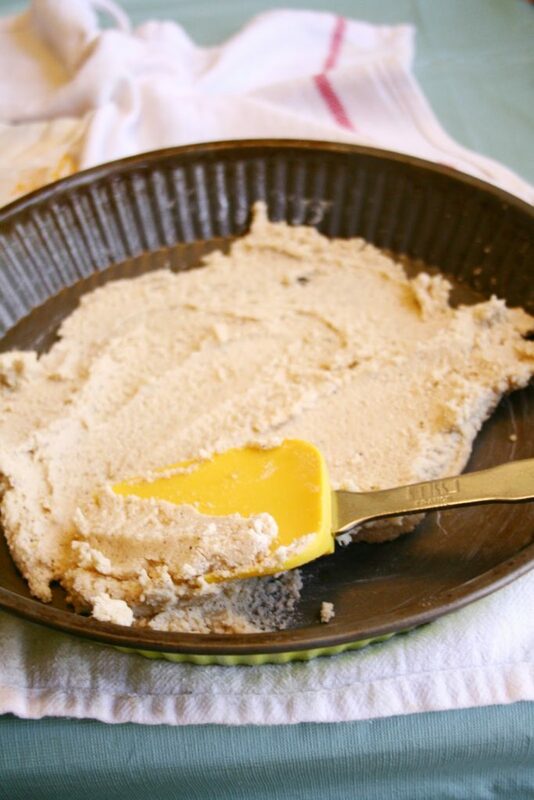 Using a rubber spatula and a table spoon, press two thirds of the of the dough evenly onto the bottom and up the sides of the pan, spreading it as you would cake icing. Cover with plastic wrap and put in refrigerator. Form the remaining dough into a ball and wrap in plastic. Refrigerate the dough and the shell until very firm, at least 30 minutes. After 30 min, bake empty pie shell in a 300 degree oven until firm, dry, and just starting to turn golden brown around the edges, 25-30 minutes. 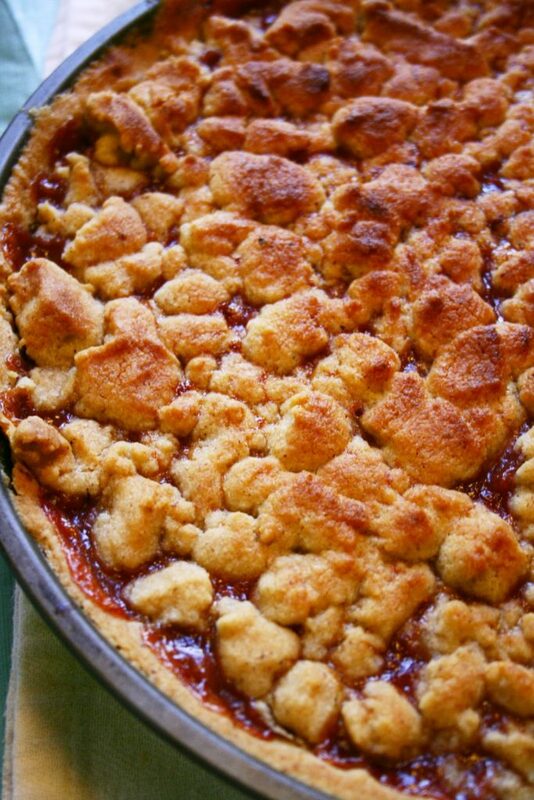 Once the shell is cooked, immediately pour the cooled filling into the pie shell and spread evenly. Crumble the remaining shortbread dough over the filling in small pieces, covering the top. 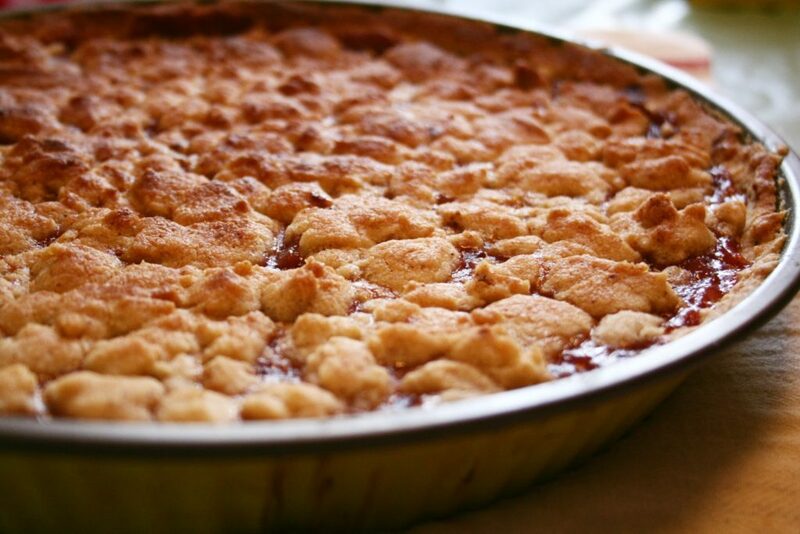 Bake until the topping is firm and golden-brown, 30 to 35 minutes in a 325 degree oven on the middle rack. Cool completely on a wire rack before serving so that the filling has time to “set up.” If you want to serve it hot, serve it in a bowl over vanilla ice cream. 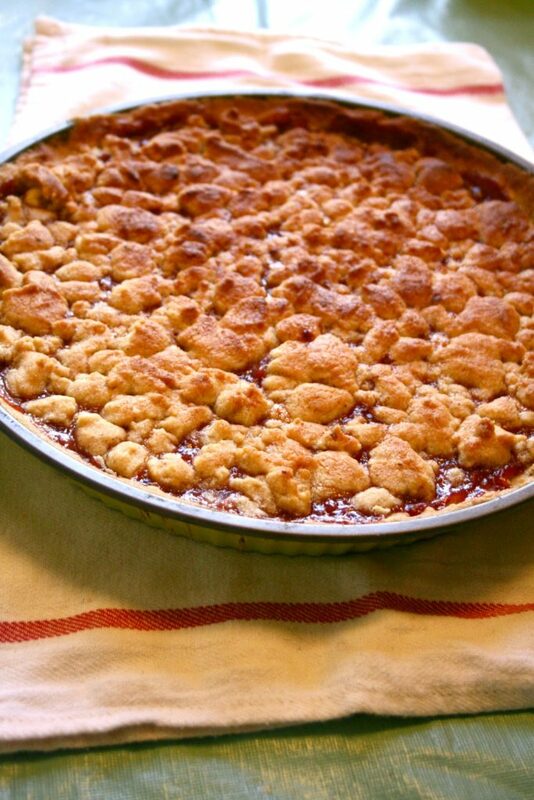 The filling will still be runny while hot so it might act more as a topping than a pie.